This paper describes the design and implementation of a new safety risk evaluation method for a sensor-based automotive collision warning system using vehicle-to-vehicle (V2V) communication. It provides an overview of the V2V basic safety message (BSM) format and of surrogate measures of safety (SMS) used to parameterize a vehicle encounter. BSM and SMS are then employed to quantify risk of collision and risk of false alerts. Preliminary simulations illustrate the methodology in an example multi-sensor intersection movement assist system. 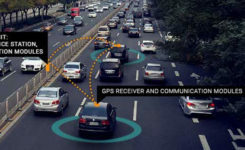 The U.S. Federal Communications Commission has allocated 75 MHz of licensed spectrum in the 5.9-GHz band for use by Intelligent Transportation Systems vehicle safety and mobility applications. In addition, in the Society of Automotive Engineers (SAE) J2735 Standard, the DSRC committee specifies a set of messages and their formats to support vehicle-based applications. Of particular relevance to this work is the BSM, which conveys critical vehicle-state information that includes vehicle position, positional accuracy, speed, heading, braking status and size. V2V communications using DSRC have an operational range of about 300 meters. Within this range, V2V applications have the potential to significantly reduce occurrences of crashes through real-time advisories, alerting drivers to imminent hazards. 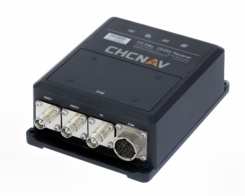 GPS and GPS/INS-based relative positioning using V2V is subject to alteration and loss of GPS signal. But unlike vehicle-resident sensors (such as cameras and lidars), GPS/INS/V2V is not affected by weather, light or dust, and can sense out-of-sight vehicles occluded behind other vehicles or around building corners. This capability addresses scenarios where an oncoming vehicle emerges from behind a truck or from a blind alley. In those situations, GPS/INS /V2V can sense threats that a radar or camera cannot.